Rate this Article Horse games are more than just racing your equines to their limits or until they reach the finish line ahead of the competition. There are preparations that need to be made. Horse games are more than just racing your equines to their limits or until they reach the finish line ahead of the competition. There are preparations that need to be made in order for them to become the best at what they do for you, their owner or breeder. These preparations, of course, come in the form of training. You must rehearse your horse’s skills and continue to hone them until they reach a level in which they can compete effectively against other horses. To ensure the best results, you should know how to train your horse properly, even if you’re playing a horse simulator and not really taking care of the real one. Here are some tips that you should bear in mind if you’re playing horse simulators with the intention of racing. First, train only the skills that are required for racing. Some horse games are ecumenical when it comes to events - they let players like you pick whether they want to race or enter the horse in events like show jumping, and others. Thus, there are plenty of skills that you can train your horse in. Unfortunately, you could end up spending a lot of time building up skill that could be useless if you don’t plan on entering events outside of racing. Make no mistake about it - the plethora of skills that can be trained in your horse can make the game a lot more challenging for you. However, it takes away time which you could have spent on what you really intended to do with your horse. Second, do not over-train your horse. There are many horse games nowadays that are super-realistic, that they actually allow you to monitor your horse’s stats when training and/or racing. For instance, training a horse in running a lot of times will indeed increase its stamina and lung capacity, but can also make it very hungry and tired after a while. What you should do is to give your horse rest periods in between training. If you have multiple horses, take the rest time of one horse and use it as training time for the other. This way, you can maximize the potential of each one of your horses. Pay attention to what the training jockey tells you about the capabilities of your equine, if the game’s features permit it. They’re the ones that are better suited to tell you about what your horse can do, so that you can take the necessary steps to capitalize on those new skills or grow that capability to its fullest. Last but not the least, build a bond with your horse. 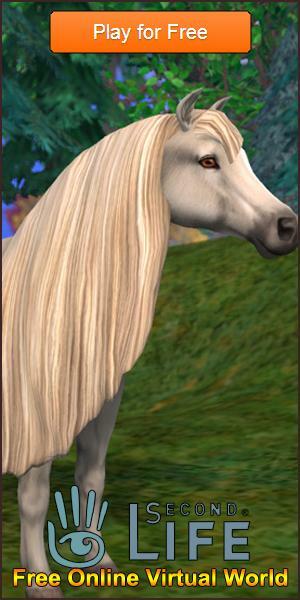 Developers of horse simulators have gone the extra mile to make their products very real, to the point of giving each horse a personality. Treat it as your virtual friend that you should be cozy with every time you meet one another. Horse games are for free, but have content that’s worth a lot more than what you take them for. Happy gaming!